Venue - Cumberland Show, East Park, Brisco, Carlisle, Cumbria, CA4 0RB (Jct. 42 off M6). Entry forms for the 2019 National Outdoor Tug of War Championships will be available to download in due course. Separate entry forms will be provided for mens, ladies, juniors and senior mixed entries. The closing date for entries will be Saturday 1 June 2019. Under 23 “GENSB” 6 a side weight class entry form (will be available in due course) - see rules for composition of teams by clicking the link below. Please note that teams can be club teams or area teams. Weigh In - Friday 14th June - 4pm - 8pm at Borderway Market, Montgomery Way, Rosehill Roundabout, Carlisle, Cumbria CA1 2RS. ** please note that the mens catchweight competition will take place at the same time as the mens 560kg competition. * denotes weight categories that are representative weights at the World Outdoor Championships and World Junior Championships and British and Irish Outdoor Championships. 2. Register all of your individual pullers and team coach by completing the puller registration form and provide 2 passport size photos of each member and team coach (if not already registered with the TOWA) and submit your form to the Tug of War Association Secretary with the appropriate puller registration fee of £5 per puller/coach, which registers your team members to compete at all Tug of War Association competitions and championships throughout 2017. Please note that to compete at the championships, all pullers must be registered by Wednesday 15th May at the latest. You can download the puller registration forms below in Excel and PDF format. 3. Complete the national outdoor tug of war championships entry form to confirm which weight classes your team would like to enter, and submit it to the Tug of War Association Championship Secretary with the relevant entry fees. How does your team qualify to compete at the championships? There are no pre-qualification events that teams have to attend to qualify to compete at the Tug of War Association National Outdoor Tug of War Championships. As long as your club is registered as a full or associate member of the Tug of War Association, all individual pullers have been registered by 15 May 2019, you have submitted your entry form and paid all entry fees in advance, then your team can compete. All registered teams are welcome to compete. The only qualifying criteria that applies is for those teams who aspire to be selected to represent England at international events. 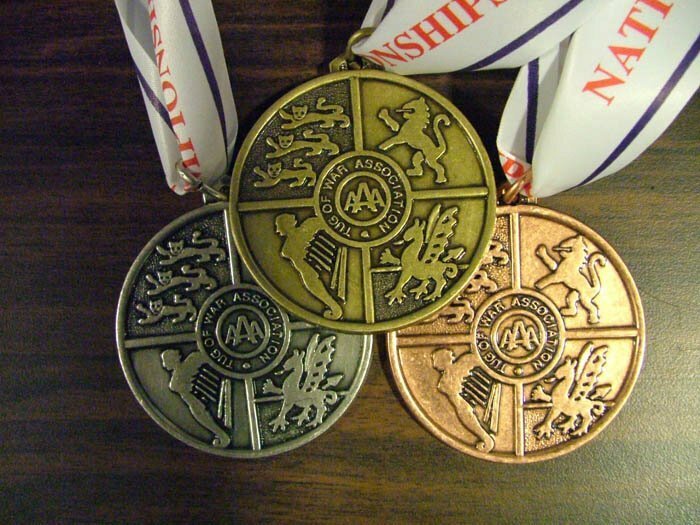 The winning teams (and in some cases the second or third placed teams, and at the discretion of the TOWA fourth placed teams) from the various weight classes at the national championships may be eligible for selection to represent England at international events. To be eligible to be invited to represent England, teams must have competed in a least 6 outdoor permitted tug of war competitions from the TOWA Fixture List (excluding any training leagues, early pulls, limited events (such as Young Farmers only events) or other similar type of non TOWA event) as amended at the 2016 TOWA AGM on Saturday 26th January 2018. Junior teams wishing to represent must have also competed in junior weight classes at 4 competitions prior to the national championships to be eligible to be invited to represent England as amended at the 2016 TOWA AGM on Saturday 30th January 2016. If in doubt check with your Area Rep or other member of the General Committee. Please note that for your attendance at a permitted competition to count towards the England qualifying/selection criteria, competing at an event means weighing in, having your team stamped by a judge, fully completing the entry sheet, and paying the entry fee in at least one weight class with a minimum of 5 of your club's own registered pullers if weighing in to compete with 7 members, or 6 of your club's own registered pullers if weighing in to compete with 8 members. Please note otherwise, that competing at the TOWA national championships is open to any club registered to the Tug of War Association, and there is no set number of events that teams have to attend to qualify to compete. The qualifying criteria referred to above only applies to those teams wishing to qualify to represent England. Otherwise, please refer to rule 2.3 of the TOWA rules contained within the TOWA Handbook regarding eligibility to compete at the TOWA National Championships and eligibility to represent England. Each team can make 1 substitution per weight class. The replacement puller must be the same weight or lighter than the puller they replace. Gold, silver and bronze medals will be presented to the top three teams in each weight class. An annual trophy will also be presented to the winners of each weight class to keep for one year to be returned at the 2019 national championships. The winning teams in each weight class may also have the honour of being invited to represent England at the European Championships, which take place in Ireland in September. Mens teams may register female pullers from other clubs as second claim members to compete in the mixed weight class, and likewise, ladies teams may register male pullers from other clubs as second claim members to compete in the mixed weight class where a mens club or ladies club don't have a team of the opposite gender. At the 2018 AGM a resolution was passed that will only allow a mixed 4+4 team to be made up of pullers from a maximum of two clubs only. This can be of any combination, e.g. 4 males from one club and 4 females from another club, or 4 males and 2 females from one club and 2 females from another club and so on. Second claim pullers for the mixed weight class must also be registered by 15 May 2018. Participating teams will be permitted to erect a team tent for the day, however tents will only be permitted to be erected in the designated area. There will be no exceptions to this requirement. Tents will NOT be permitted to be erected next to the edge of the arena. If you erect your team tent next to the arena outside of the designated area then you will be asked to move it. Cars will NOT be permitted on the field / around the arena at all and must be parked in the designated car park. Entry passes will be provided to all tug of war competitors, coaches and officials.